Today in Ake Ake, we are making Matariki Star cookies. This is good for our maths, as it helps us learn about measuring and counting. It also encourages talk and communication. We take turns and help each other. Here is the recipe, if you want to make it again at home. Preheat oven to 180 degrees Celsius. Get your baking trays ready, with baking paper or grease with butter. Melt butter, sugar and syrup in the microwave. Leave it to cool. 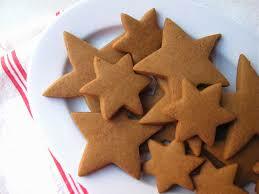 Roll out the dough to about 1/4 inch thick and cut into stars. Place on baking trays allowing space to spread. Cook for 10 minutes, but keep a watch, as they can easily burn. Leave to cool and then enjoy!